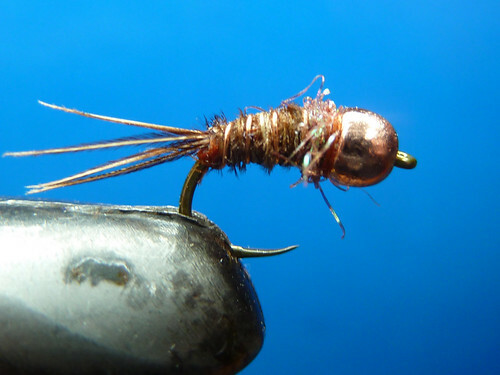 My NZ killer nymph – a PT bead head with glister collar. This nymph in various sizes has accounted for almost all of my nymph caught trout and it’s easy to tie! 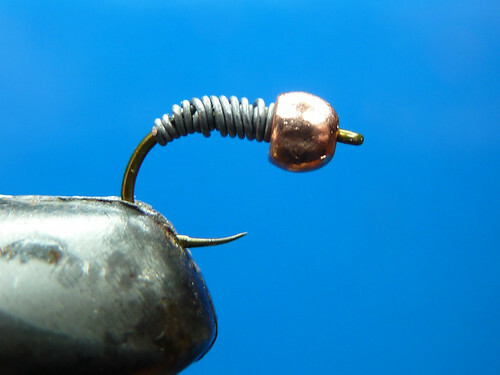 Place bead onto hook and create underbody with lead wire. Tie in copper wire and wrap over the lead wire to hold it in place. 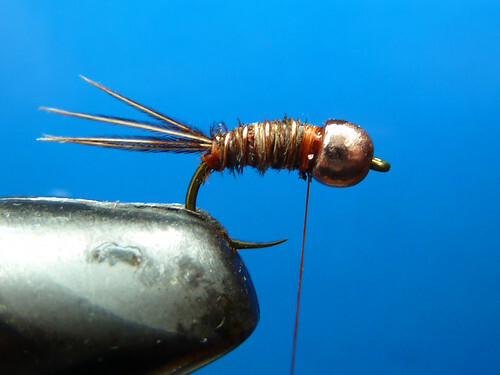 Tie in 3 or 4 strands of pheasant tail, the tail length should be the same length as the body of the fly. Pop a dab of superglue on the body and then wind the pheasant tail towards the eye. Tie off about 1mm from the bead. 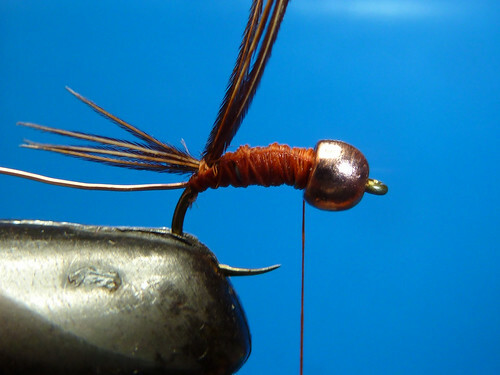 Wind the copper rib up the body and tie off in the same place as the pheasant tail. Dub the glister onto your thread and wind on to create the glister collar then whip finish. This is one cool fly! The idea, the photographs and the tying instructions are all courtesy of Paul Rankine who has kindly given his permission for me to post this. So without further ado here is Paul’s Easy Sculpin. 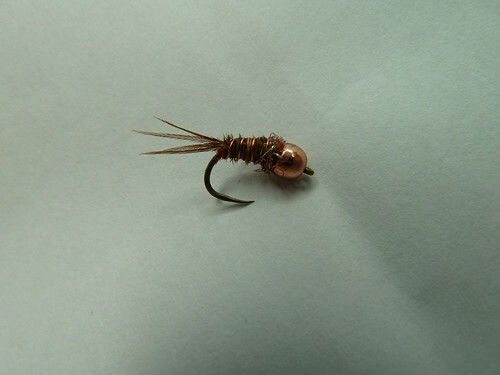 Ever spent half an hour (or more ) tying up one of Oliver Edwards exact imitation waggy tail sculpins? Great imitations but not exactly stress free tying especially when one accidentally snips off a pectoral. And Oliver would not mind me saying what a mess we make tying them. 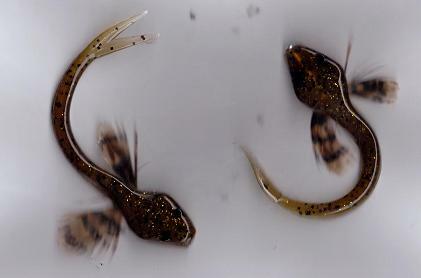 So on coming across a viable sculpin/loach/bullhead body alternative I could not resist trying to use them and save myself some grief. 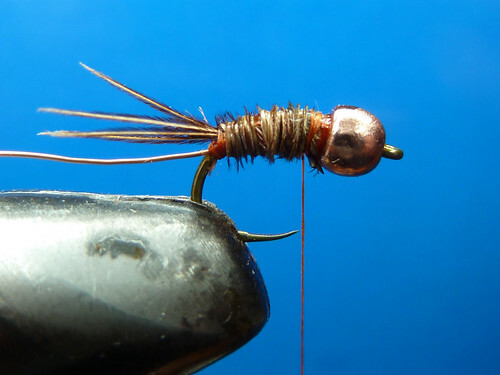 It’s fly tying but not as we know it , so IF YOU ARE A FLY TYING PURIST – LOOK AWAY NOW . Here are the bodies. 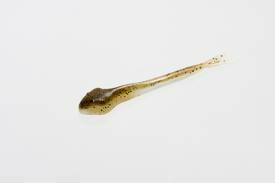 ZOOM Fluke Tail Natural Goby . 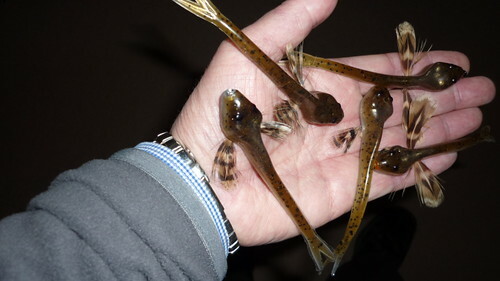 And Yes , they are plastic baits. Look like this out of the packet , about 4 ½ inches long. @£4 for 15 bodies. Look interesting eh ? However I wanted to put a pair of trademark sculpin pectoral fins on them and also to add some weight and a means of adding a hook. Solution , after some thought , a tube . Eureka ! I wanted to anchor these things to the bottom so I used an aluminium bottle tube with a plastic sleeve to accept my hook. You can vary the weight of course using copper, brass or plastic tubes. 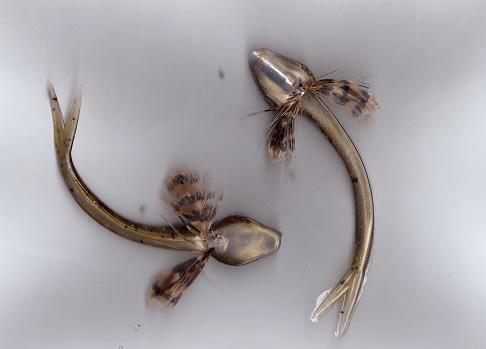 Pre-tying two partridge feather tips onto the tube before sliding it into the lure body provides an effective imitation. I guide the path of the tube through the body by pre-inserting a needle and threading the tube along it. It is important that the front of the tube emerges in the middle of the snout. I colour the little piggy eyes and the fins with a black waterproof marker pen. 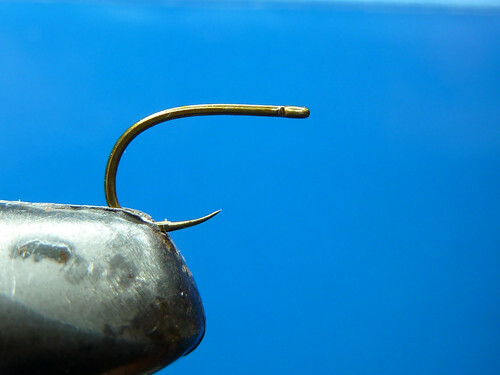 For proper hook placement aim to have the hook mount protrude just as the bulbous head gives way to the thin body. 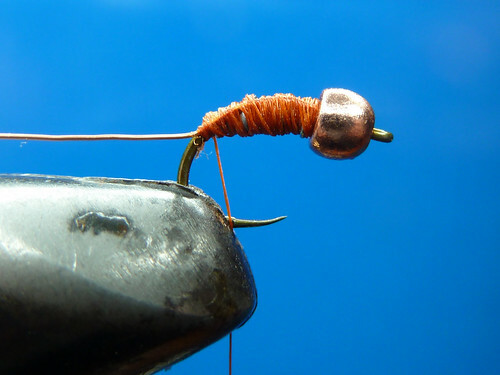 You can use big singles too, (check what’s allowed on your river re- hook sizes) simply tie on the pectoral feathers at the appropriate place on the shank after measuring it against the sculpin head. And a Ventral view showing tube placement. I’m sure that there is nothing new in all this, seldom is in the world of fly dressing (or lure making ) but I hope you’ve found it interesting. I can see that big Don brownie stalking one of these in the gloaming of an August night………..